Norman, Ken and Pearl F. Eliadis. "Human Rights". The Canadian Encyclopedia, 21 November 2017, Historica Canada. https://www.thecanadianencyclopedia.ca/en/article/human-rights. Accessed 25 April 2019. Human rights are rights that we all have by virtue of our shared humanity. Depending on the nature of the right, both individuals and groups can assert human rights. The realization of human rights is a constant struggle on the part of people who suffer injustices and who seek redress. Human rights are so fundamental that they receive a degree of special protection at three levels: in international law, in national constitutions and in human rights laws. At the international level, the touchstone is the 1948 Universal Declaration of Human Rights. Canada has signed the Declaration and has ratified several international human rights treaties. There are ten core United Nations human rights treaties. By 2014, Canada had ratified seven out of ten. At the constitutional level, the Canadian Charter of Rights and Freedoms (the “Charter”) is now part of the Constitution Act, 1982. Before 1982, there was little constitutional protection against government interference with human rights. 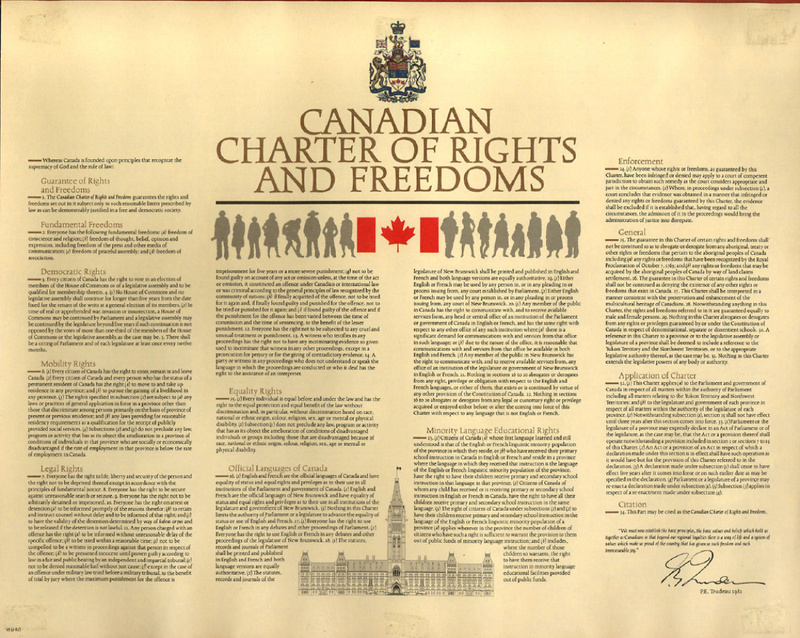 Today, the Charter guarantees fundamental freedoms (free expression, religion, association and peaceful assembly), democratic rights (such as participation in elections), mobility rights (which protect certain rights of citizens and permanent residents in Canada), legal rights, equality rights (between men and women, for example), and the right to enforce these rights. Language rights receive distinct constitutional protections as well. Beyond the Charter, the rights of Aboriginal peoples merit unique protections because of their particular history (see Aboriginal Rights). These include individual and collective rights to their cultural and religious traditions, rights to autonomy and self-government, and the right not to be subjected to forced assimilation or to the forcible removal of their children to any other group. The third level of protection is found in anti-discrimination laws. The laws include the federal Canadian Human Rights Act, as well as 10 provincial and three territorial human rights laws. These laws mainly protect equality rights. People use the language of human rights to support all kinds of claims, but not all claims count as human rights in law. Equality rights give people equal protection and benefit of the law. The equality rights section of the Charter, section 15, came into force in 1985. It applies to all levels of government in Canada. Civil Liberties are associated with fundamental freedoms and privacy rights. They are usually invoked to oppose state intrusions into those rights, typically on grounds of national security and public order. Civil liberties (equivalent to “civil and political rights” at the international level), can be claimed before the courts on an immediate basis, for example by demanding an immediate end to cruel and unusual treatment in detention. This group of rights is often referred to as “first generation” rights. Economic, social and cultural rights are also fundamental components of human rights. They are sometimes referred to as “second generation” rights. They include education, health, housing and employment. Canada usually implements these rights through government policies and programs. They require progressive or gradual realization: progressive realization recognizes that it is impossible for most governments to achieve these rights fully and immediately for everyone. Human rights legislation in most of Canada recognizes and enforces many economic and social rights, for example by protecting equality rights in the areas of housing, employment and education. There is also a third generation of other rights, including the rights to economic and social development, to participate in cultural heritage, and to intergenerational equity and sustainability. Third generation rights are generally not enforceable, but they are an emerging set of norms that are developing quickly. All human rights are indivisible, interrelated and interdependent. None has automatic precedence over any other. This important principle was established at the end of the Cold War at the Vienna World Conference on Human Rights in 1993. Human rights as we understand them today are a relatively modern concept. Slavery was practised in the British colonies, including Canada, until it was made illegal under the Slavery Abolition Act of 1833. After Confederation, discriminatory laws discouraged the immigration of non-whites (see Immigration Policy). Discrimination and de facto segregation (see Prejudice and Discrimination) were commonplace in many parts of Canada, especially for Chinese, Japanese and Black Canadians. 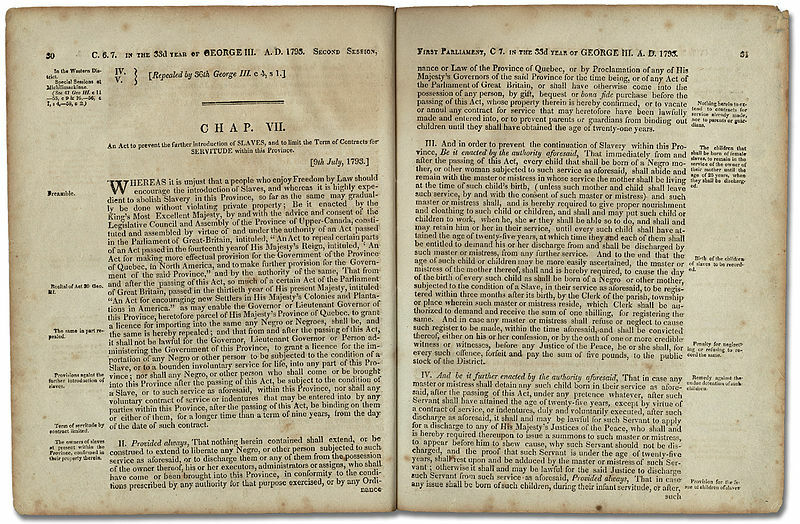 An Act to Prevent the further Introduction of Slaves and to limit the Term of Contracts for Servitude, 9 July 1793. 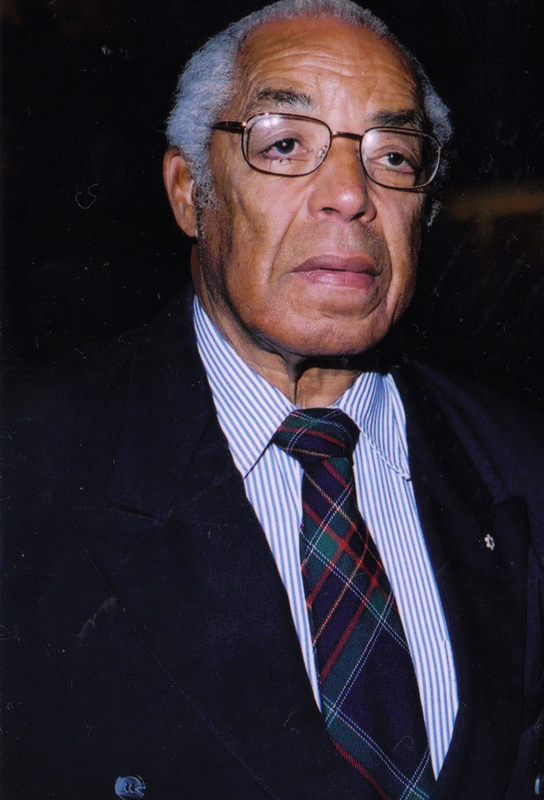 Bromley Armstrong, human rights advocate, author, mentor. 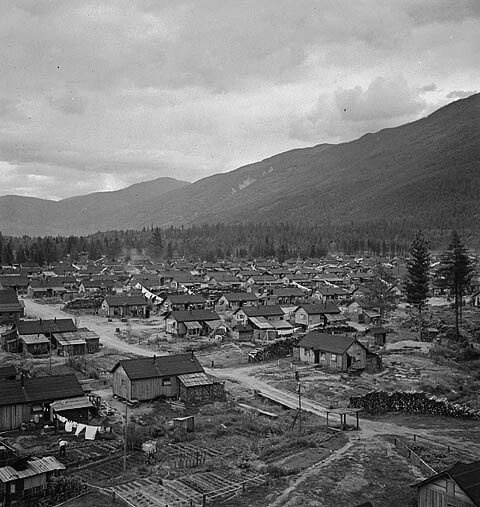 Relocation of Japanese Canadians to internment camps in the interior of British Columbia, 1942. 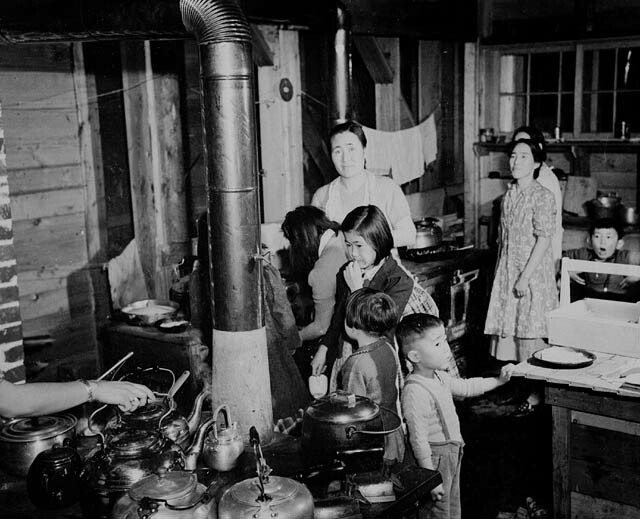 Community kitchen at a Japanese Canadian internment camp in Greenwood BC, 1943. 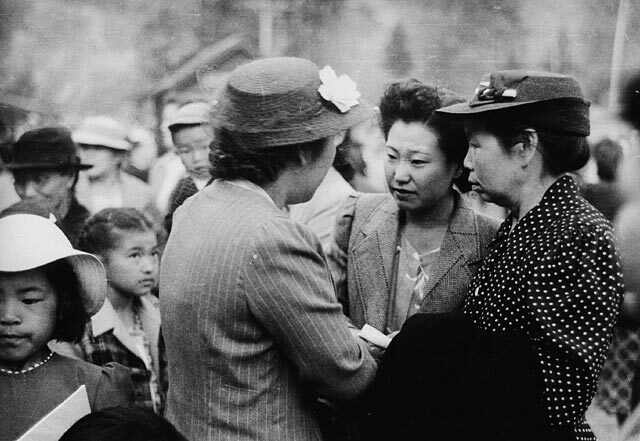 During the two world wars, and at different points in time, Canada interned people (see Internment) who were perceived to be enemy aliens, including Eastern European, Italian, German and Japanese Canadians. In the early 20th century, the rights of women and children were restricted (see Women and the Law; Murdoch Case). 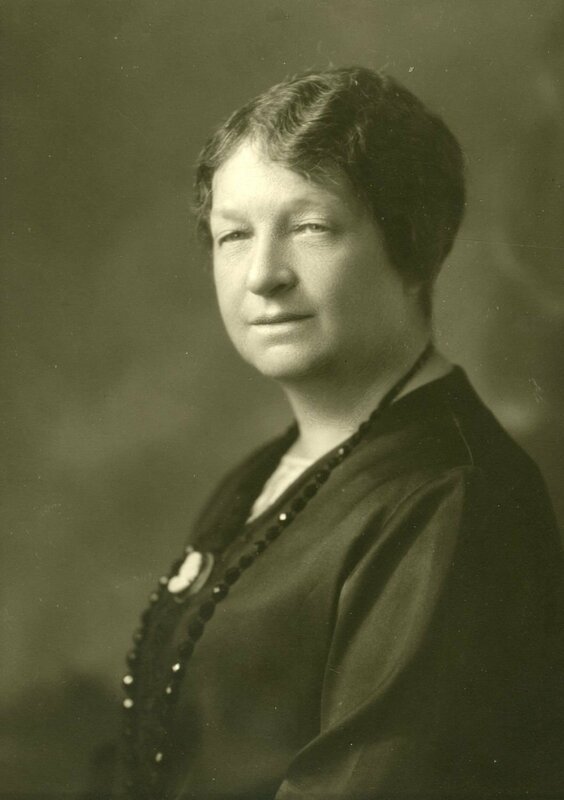 Women were not considered "persons" eligible for appointment to the Senate until 1929. Women did not gain the federal vote until the First World War, and did not gain the provincial vote in all provinces until 1940 (see Women’s Suffrage). In Québec, restrictions on the legal capacity of married women were not lifted until 1964. Presentation of petition by the Political Equality League for the enfranchisement of women, 23 December 1915. Clockwise from top left: A.V. 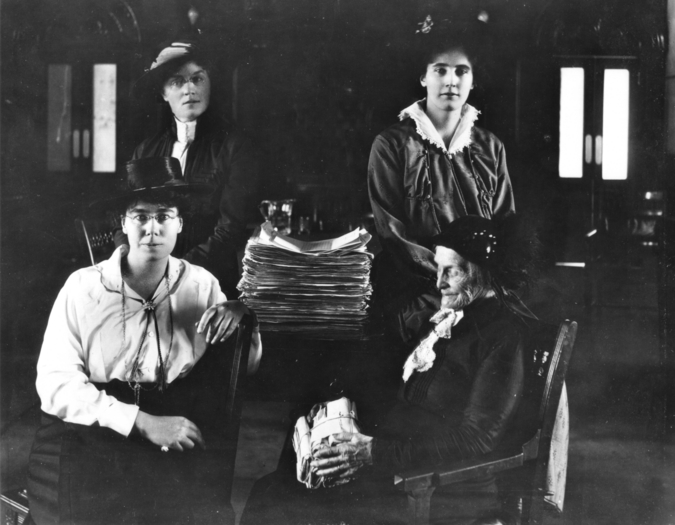 Thomas, F.J. Dixon, Amelia Burritt, Dr. Mary Crawford (courtesy Archives of Manitoba, Events 173/3, N9905). Laws denying the franchise to Aboriginal peoples were in place until after the Canadian Bill of Rights in 1960. Aboriginal women continued to experience discrimination. Women who married non-Aboriginal men lost their status under the Indian Act whereas Aboriginal men who married non-Aboriginal women retained their status. This discrimination was challenged under international law, but the Canadian law did not changed until 1985. Aboriginal peoples were also prohibited from filing federal human rights complaints about discrimination in relation to the Indian Act until 2011. 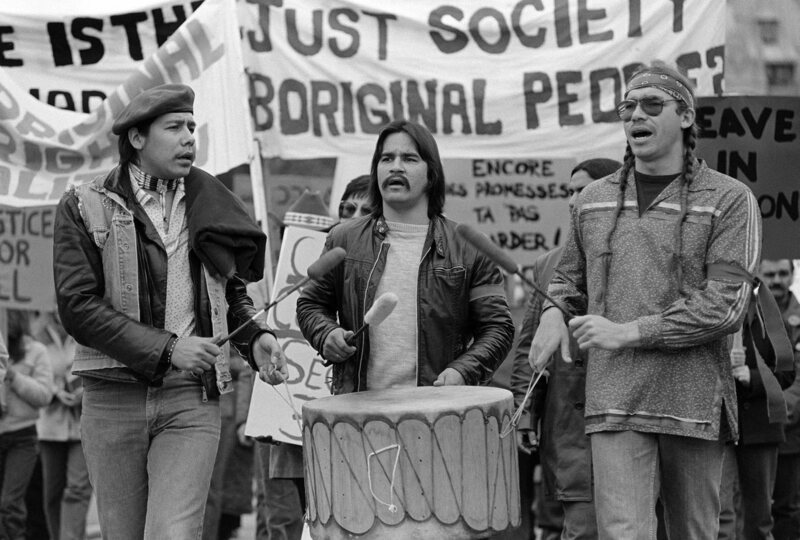 Aboriginal issues remain one of Canada’s most serious human rights concerns. Legal measures to combat discrimination, racism and hate speech began to emerge in the 1930s, but it was not until the 1940s that they became more widespread. In 1944, Ontario introduced provincial legislation called the Racial Discrimination Act, followed by Saskatchewan's Bill of Rights in 1947. Both statutes relied on quasi-criminal prosecutions — as opposed to civil human rights claims, which would emerge two decades later — and were rarely used. Fair accommodation and fair employment practices laws were enacted throughout Canada in the 1950s, followed by equal-pay legislation for women. 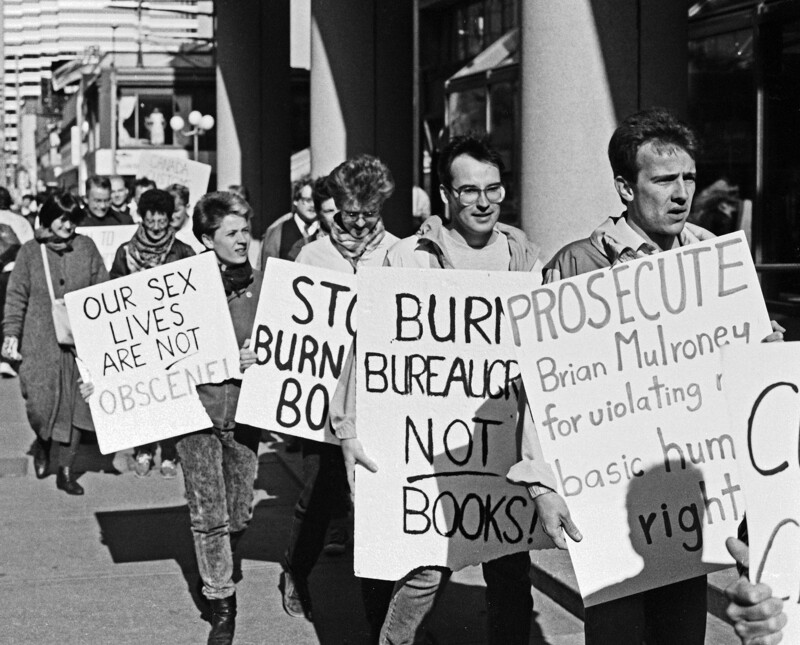 In the 1960s and 1970s, the provinces and territories started to consolidate these statutes into comprehensive human rights codes, administered and enforced by permanent human rights commissions and tribunals. These laws have “quasi-constitutional status,” meaning that they prevail over other types of laws and they apply not only to government actions, but extend to businesses, the media and non-profit organizations, as well as to individuals in certain circumstances. The 1960 federal Bill of Rights was an important step in the evolution of human rights in Canada. 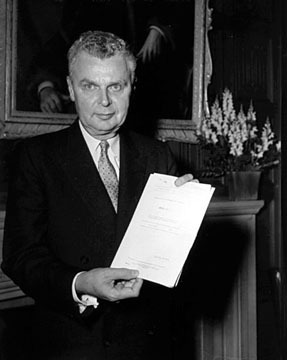 Following two petitions submitted to Parliament by Jehovah’s Witnesses, many of whom were arrested in Québec during the 1940s, the Bill was championed by Prime Minister John Diefenbaker, who had been a strong defender of the Witnesses during the Second World War. The Bill had several weaknesses: it had no constitutional force and could be amended in Parliament like any other law. It was restricted to federal matters, and did not affect the provinces in any way. The Bill of Rights made little legal impact, but its shortcomings demonstrated the importance of a constitutional bill of rights and paved the way for the Charter. In 1948, the United Nations General Assembly proclaimed the Universal Declaration of Human Rights as the "common standard of achievement for all peoples… to promote respect for these rights and freedoms, and by progressive measures national and international, to secure their universal and effective recognition and observance." The Declaration was accepted by a unanimous vote, with the six members of the Soviet bloc, Saudi Arabia, and the Union of South Africa abstaining. By 1966, the international scene had evolved in important ways. The 1948 Universal Declaration of Human Rights was supplemented by the International Covenant on Civil and Political Rights (ICCPR) and the International Covenant on Economic, Social and Cultural Rights. 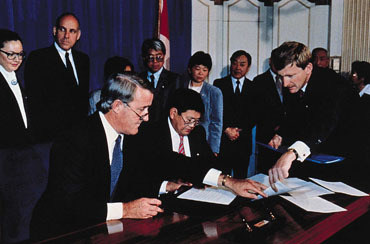 Canada acceded to both in 1976 with the unanimous consent of the provinces. Both covenants are now binding upon Canada in International Law. Canada also ratified the Optional Protocol to the Civil and Political Rights Covenant: anyone in Canada can now file a complaint (called a “communication”) to the UN Human Rights Committee that oversees the ICCPR if the Canadian government fails to meet its obligations. Canada has ratified or signed other core human rights treaties and submitted itself to oversight by their respective treaty bodies. The treaties include the Convention on the Rights of the Child, the Convention on the Elimination of all Forms of Discrimination against Women, and the Convention on the Rights of Persons with Disabilities. Each has its own oversight committee at the United Nations. The development of international human rights law generated pressure to strengthen our human rights laws in Canada, leading to the enactment of the Canadian Human Rights Act and the entrenchment of the Canadian Charter of Rights and Freedoms. The Charter is a bill of rights but is also a political compromise. Section 33 of the Charter permits any government to enact laws "notwithstanding the Charter," and thus a majority government may infringe the Charter through this "notwithstanding" power. Such actions will, in most cases, constitute a clear violation of international law. Public interest groups frequently oppose such actions in democratic societies through the actions of individuals, political parties, the media and members of the legislature. By the late 1970s, human rights laws had been enacted at the federal level and in every province. All three territories now have their own human rights systems as well. Alberta, Saskatchewan, Québec and Yukon also have special protections in their human rights laws to protect certain civil and political rights. The Québec Charter of human rights and freedoms (1975) goes further and protects economic, social and cultural rights. The scope and meaning of human rights are always evolving. Canadian courts have said that the constitution is a “living tree,” meaning that it can grow and evolve with time. There are several important examples of this ongoing evolution. The right to equality on the ground of sexual orientation has now been “read into” the Charter, meaning that although sexual orientation is not mentioned in section 15 (the equality rights section of the Charter), it is considered as an analogous ground and is therefore protected. 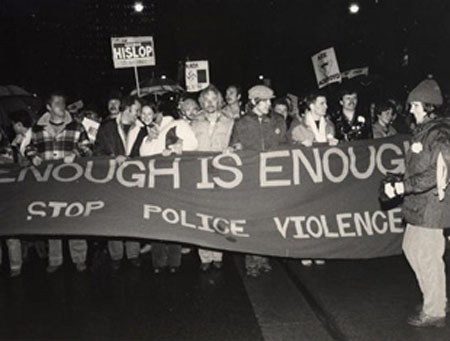 A gay rights demonstration in Toronto, circa 1980s (courtesy Canadian Lesbian and Gay Archives). Courts often have to balance different rights and freedoms or decide whether limits on rights are justifiable in free and democratic societies. For example, the Supreme Court of Canada decided in 1992 that the crime of spreading false news was an infringement of free speech and therefore unconstitutional in the Holocaust-denial case of R. v. Zündel. On the other hand, the Court has held that criminal and human rights laws prohibiting hate speech against minorities such as Jews (see Anti-Semitism), people of colour, and gays and lesbians (see Homosexuality), are reasonable limits on free speech in the cases of Taylor (1990), Keegstra (1990), and Whatcott (2013). Such cases confirm the principle that there is no hierarchy of rights and that no right or category of rights has automatic precedence over any other type of right. Evolving areas of human rights law include the interaction between Aboriginal rights and human rights laws, and the operation of equality rights in rapidly changing areas such as family status and disability. The right to equality on the grounds of gender expression or gender identity for trans people has been introduced in several Canadian jurisdictions (see Lesbian, Gay, Bisexual and Transgender Rights in Canada). In the aftermath of the terrorist attacks of 11 September 2001, there has been a growing tension between human rights and national security, reigniting debates about torture, religious freedoms, immigration and refugee policy, and national surveillance. Racial profiling issues have also come to the fore. Since 2008, Québec has had a particularly divisive debate about the accommodation of religious minorities and the role of secularism in the state (see Québec Values Charter). The renaissance of public political protest and the growing number of restrictions on civil society organizations around the world (non-governmental organizations, human rights defenders, and international development groups, and environmental groups, for example) have reignited questions about reasonable limits on freedom of association and peaceful assembly in Canada and around the world. Disability rights are another key area of development for human rights law in Canada. Canada lags behind the standards contained in the Convention on the Rights of Persons with Disabilities in terms of many basic rights, such as access to services, public transit, employment, and education. It has not fully implemented the Covenant on Economic, Social and Cultural Rights. Although the Optional Protocol to the International Covenant on Economic, Social and Cultural Rights came into force in 2010, Canada has declined to become a State Party. Thus, individual Canadians currently do not have the right to claim violations of their economic, social and cultural rights unless the violations of those rights are discriminatory and can be addressed under human rights laws. These are all important and ongoing areas for future development. The fight for human rights and the nature of Canada’s role in the development of human rights is an important part of our national heritage and our ongoing and shared national task of respecting, protecting and fulfilling human rights. 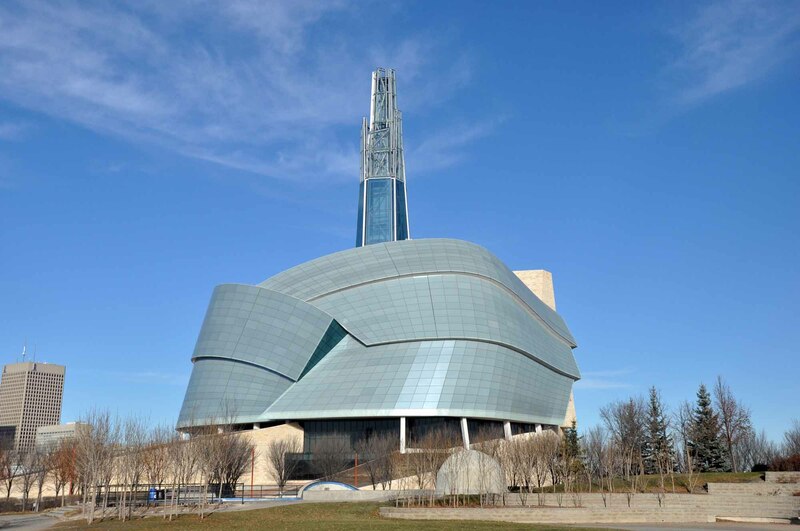 As part of this journey, the Canadian Museum for Human Rights, which opened in 2014 in Winnipeg, is the first museum in the world solely dedicated to the narrative of Canada’s human rights journey, its evolution, celebration and future. Irving Abella and Harold Troper, None Is Too Many: Canada and the Jews of Europe 1933–1948 (Toronto: Lester and Orpen Dennys, 1982). Constance Backhouse, Colour-Coded: A Legal History of Racism in Canada, 1900–1950 (Toronto: University of Toronto Press, 1999). A. Alan Borovoy, When Freedoms Collide: The Case for Our Civil Liberties (Toronto: Lester & Orpen Dennys, 1988). Dominique Clément, Canada's Rights Revolution: Social Movements and Social Change, 1937-82 (Vancouver: UBC Press, 2008). Clinton Timothy Curle, Humanité: John Humphrey’s Alternative Account of Human Rights (Toronto: University of Toronto, 2007). Shelagh Day, Lucie Lamarche and Ken Norman, eds, 14 Arguments in Favour of Human Rights Institutions (Toronto: Irwin Law, 2014). Pearl Eliadis, Speaking Out on Human Rights: Debating Canada’s Human Rights System (Montreal: Kingston: McGill-Queen’s University Press, 2014). Peter Kulchyski, Aboriginal Rights Are Not Human Rights: In Defence of Indigenous Struggles (Winnipeg: ARP Books, 2014). Patricia E. Roy, A White Man’s Province: British Columbia Politicians and Chinese and Japanese Immigrants, 1858–1914 (Vancouver: University of British Columbia Press, 1989). Maxwell Yalden, Transforming Rights: Reflections from the Front Lines (Toronto: University of Toronto Press, 2009). Robin W. Winks, The Blacks in Canada: A History, 2d ed. (Montreal: McGill-Queen’s University Press, 1997). Canadian Human Rights CommissionThe official site of the Canadian Human Rights Commission. The Canadian Human Rights Commission administers the Canadian Human Rights Act and is responsible for ensuring compliance with the Employment Equity Act.